Please sign this petition, thank you for taking action for this animal! Who Want Bears in Florida? 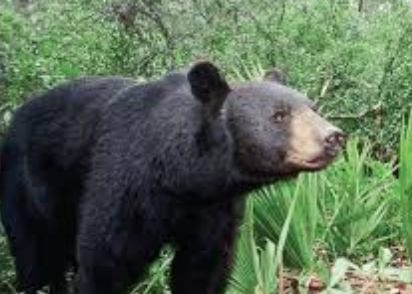 It seems only hunters want bears in Florida. The lobby for the animals in Florida had a chance in court, but lost. So this year the bears will have no protection from those who kill for pleasure. There is a chance the appeals court will vote differently, but there is “bearly” any time left. Please speak up for the bears and help them survive in Florida. Some people believe that bears are cuddly toys. And cute to watch. But bears grow into imposing creatures and then they often end up in abysmal places. Somewhere in Tennessee, two bears have made it to a better future. But those that had to stay behind also have a right to a bright future, outside of a concrete entrapment into a green life. There are people who argue that hunting belongs to the oldest traditions of mankind. This reasoning makes these people believe that it still is correct to kill animals through hunting them down. Arguing back that we also do not want to go back to living in caves might not help here. In any case: hunting animals who are trapped, bated, tethered, or in any form incapacitated equals torture and murder. “The state of Alaska is allowing inhumane, unsportsmanlike and scientifically unsound hunting of wolves and bears — and we need your help to stop it. The controversial practices include baiting brown and black bears into easy shooting range using greasy meat, donuts and dog food; killing bears in their winter dens; and “harvesting” wolf pups and bear cubs. 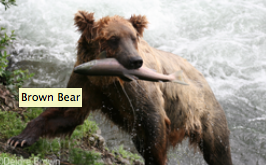 Bears feed on salmon, salmon returns to the same spawning places every year. So the bears come back to these same places every year as well. But if the mining company has the say there will be no more salmon at this place next year. There will be no food for the bears, either. “Every summer, brown bears gather in the pristine waterways of Alaska’s Bristol Bay to catch salmon swimming upstream to spawn. 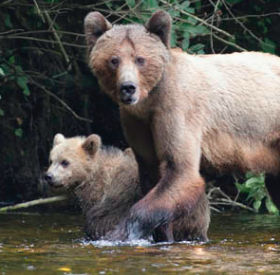 But soon, this vast habitat area that is home to brown bears and the largest runs of salmon in the world could be devastated by a massive open pit copper mine.